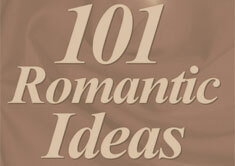 There are a lot more ways to make a bath romantic than putting candles on the ledge. Read some really clever ideas below. WILLIE WONKA – EAT YOUR HEART OUT!